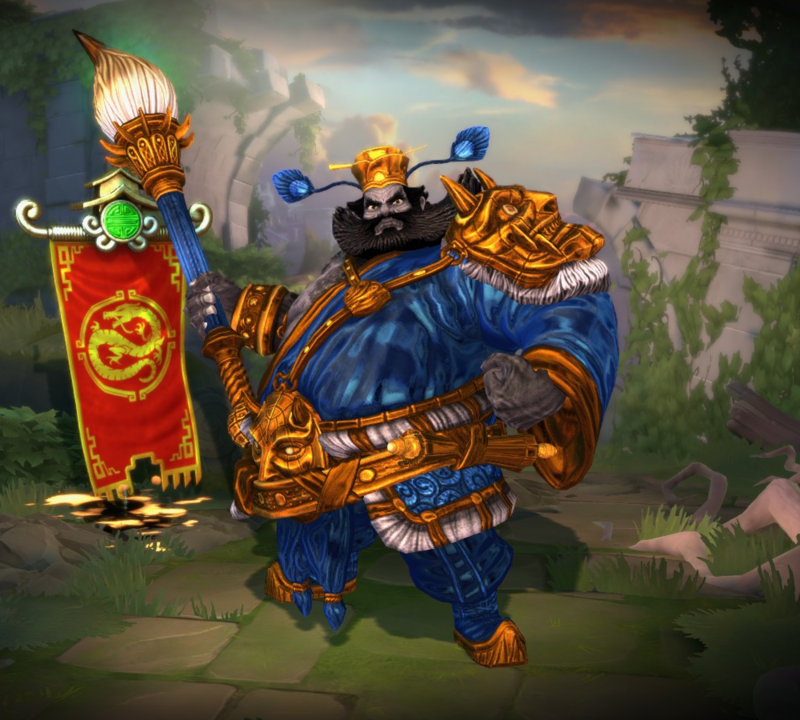 Zhong Kui is one of the playable Gods in SMITE. Deals a total of 100/150/200/250/300 (+75% of your magical power) damage. Can heal for up to 60/105/150/195/240 (+60% of your magical power). Marked units are stunned for 1.2/1.4/1.6/1.8/2s. Its hitbox moves clockwise around Zhong Kui. The stack count of Demon Bag has no effect on the damage or number of demons released. Can deal up to 400/475/550/625/700 (+100% of your magical power) damage. 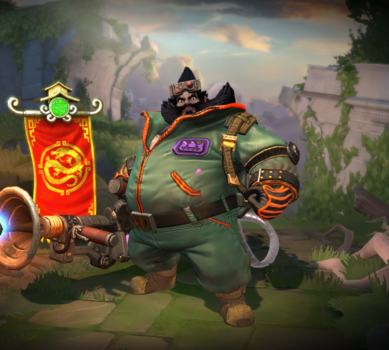 Zhong Kui's Demon Catcher skin and several of his quotes are a reference to the movie Ghostbusters. One of Demon Catcher's death lines "I guess... I've received total consciousness..." is a reference to the American sports comedy film Caddyshack. One of Demon Catcher's lines for placing a ward "Gotta catch'em all!" is a reference to the Pokémon anime series. The name of G.I. Zhong is a reference to the line of action figures and it's animated series G.I. Joe. Decreased Protections per stack from 1 to 0.8. Decreased Stun duration from .7/.8/.9/1/1.1s to .6/.7/.8/.9/1s. Fixed an issue where his passive meter wasnt accurately animating changes in soul stacks. Increased Stacks from 20 to 40. Decreased Protections per stack from 2 to 1. Decreased Stacks lost on Death and after using Recall Demons from 100% to 50%. Stun Duration Increased from .5/.6/.7/.8/.9s to .7/.8/.9/1/1.1s. This ability no longer takes away Zhong Kui's book basic attacks while on cooldown. Expose Evil should now deal 75% of the remaining scaling damage in addition to the Base Damage it was already dealing. Increased the remaining damage dealt from 40% → 75% when Expose Evil is removed by Exorcism or Book of Demons. Reduced the time it takes for Demons created by Exorcism to reach Zhong Kui and heal him. Updated Tooltip to make it clear that when Book of Demons removes Expose Evil it deals 75% of Expose Evil's remaining damage. Increased the Travel Speed of the Demons released by Recall Demons. Increased base Health from 400 to 450. Increased Health per level from 75 to 85. Increased Magical Protection per level from 0 to 0.9. Added extended lines for Standard Voice Pack. Fixed Basic Attack trails showing green fx from Standard skin. Fixed crowd control immunity removing the card and damage over time. Updated tooltip to correctly state “40% of remaining damage is done instantly” instead of 50%. Fixed an issue where his basic attack projectile was invisible. Zhong Kui is now immune to Knockback and slows while channeling Recall Demons. Reduced cooldown from 13 to 10s. Cooldown increased from 10s to 15s. Reverted previous change that prevented Zhong Kui from using abilities while channeling this ability. He may now take all actions again. 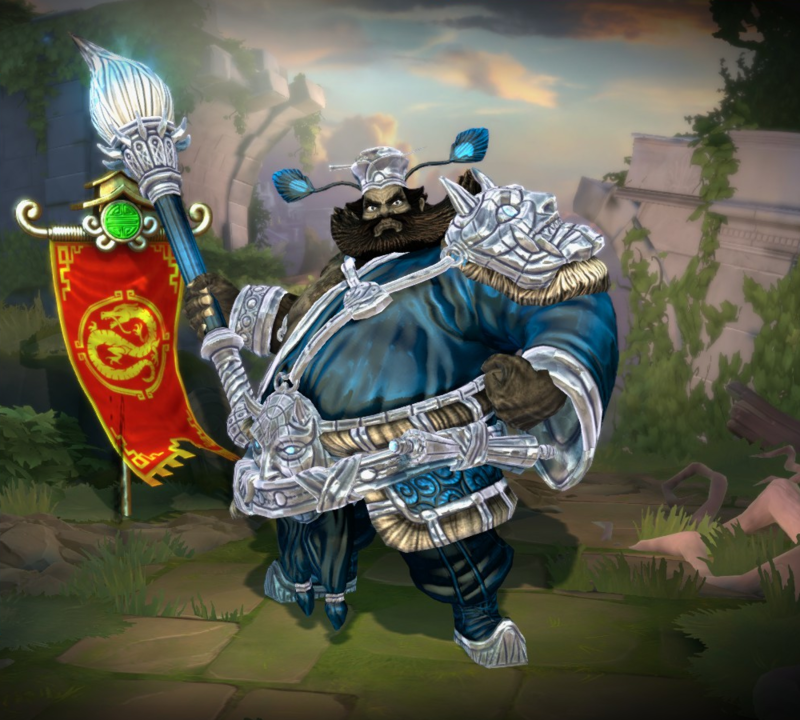 Zhong Kui is no longer CC immune while channeling this ability, however it will continue to channel while he is under the effects of CC. Fixed an issue in which jumping would cancel this ability. Fixed an issue in which Zhong Kui was sometimes unable to use basic attacks during ability. 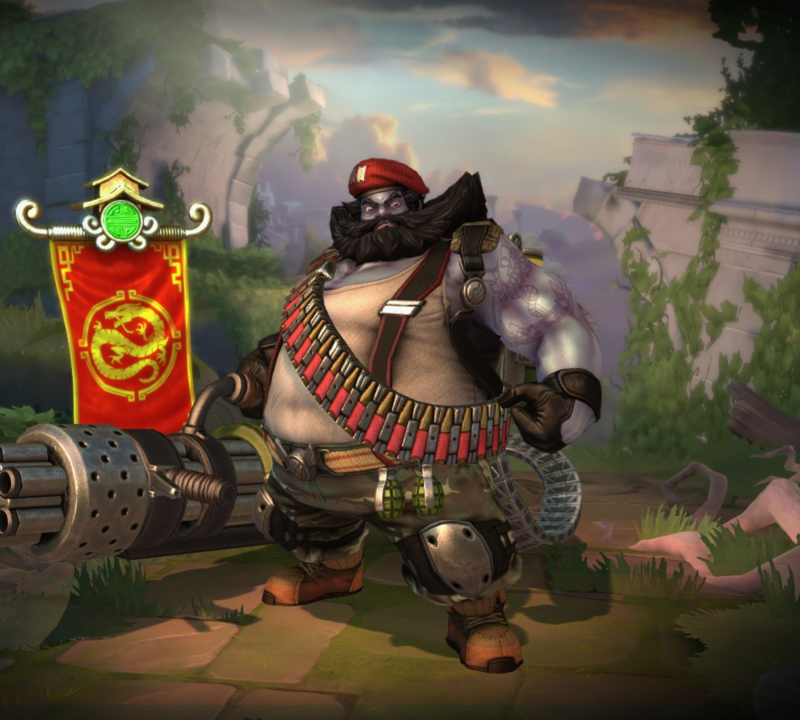 As a result, he will no longer be able queue up and have another ability ground target ready when Recall Demons is finished. Fixed an issue with Polynomicon passive not working. Can no longer cast other abilities while using this ability, although you may still use basic attacks. 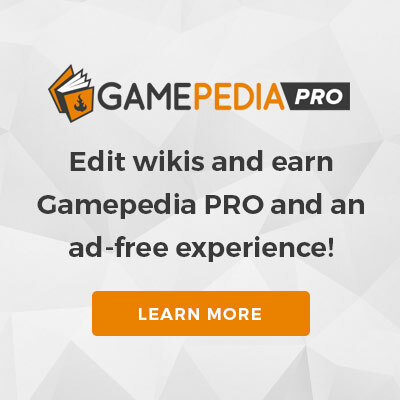 Right-clicking will now cancel this ability early. King of Ghosts Zhong Kui has had his FX updated. Recovery time reduced from 0.4 to 0.1. Bonus protections granted for each captured demon reduced from 3 per demon to 2. This ability will no longer heal allied players. The amount of healing per captured demon has been reduced from 25/40/55/70/85 to 20/35/50/65/80. The percentage of remaining damage done when removing cards early has been reduced from 50% to 40%. The base healing of this ability has been reduced from 30/45/60/75/90 to 25/40/55/70/85. An issue has been fixed where the tooltip was showing incorrect mana costs for the ability. The duration of the mark has been reduced from 6 to 5s. The magical power contribution was reduced from 70% to 50%. 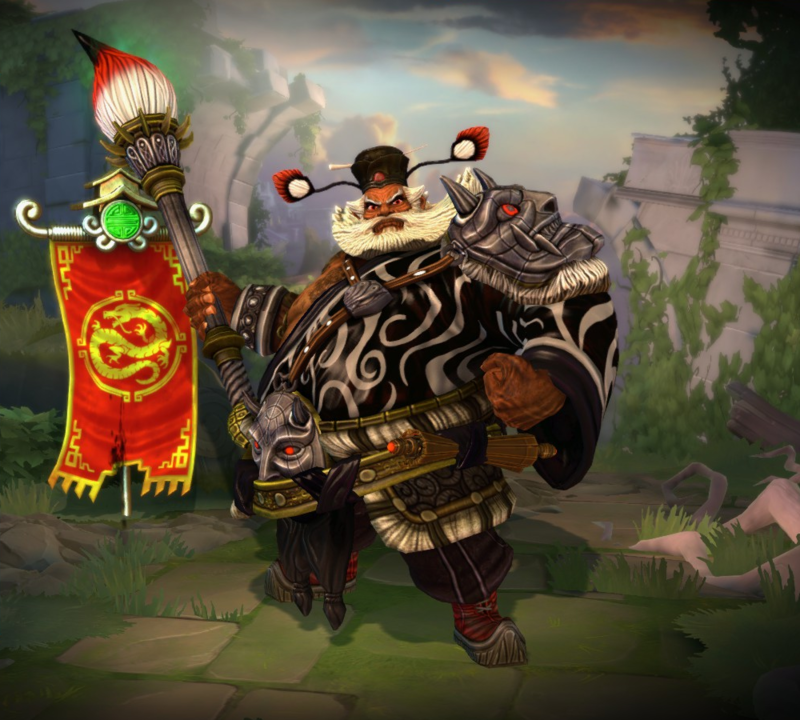 Zhong Kui has been added to the game.